At almost the exact same time that President Donald Trump said at the White House Tuesday that the U.S. will soon be departing Syria, his top commander for forces there said the U.S. is in for the long haul. “Of course there is a military role in this,” Votel said. At almost the exact same time, however, Trump was discussing a different role for the military — to help secure the U.S.-Mexico border. On Syria, Trump said it’s almost time to go. “As far as Syria is concerned, our primary mission in terms of that was getting rid of ISIS. We’ve almost completed that task, and we’ll be making a decision very quickly, in coordination with others in the area, as to what we’ll do,” Trump said in a joint press conference with Estonian President Kersti Kaljulaid, Latvian President Raimonds Vejonis and Lithuanian President Dalia Grybauskaite. Trump said the U.S. involvement in the Middle East has cost trillions of dollars that have not benefited the country. He suggested that Saudi Arabia should pay for continued operations there. “We have nothing, nothing except death and destruction,” Trump said about the U.S. involvement not just in Syria, but broadly in the Middle East region. “It’s a horrible thing. “So it’s time. It’s time,” Trump said. “We were very successful against ISIS. We’ll be successful against anybody militarily. But sometimes it’s time to come back home, and we’re thinking about that very seriously,” Trump said. 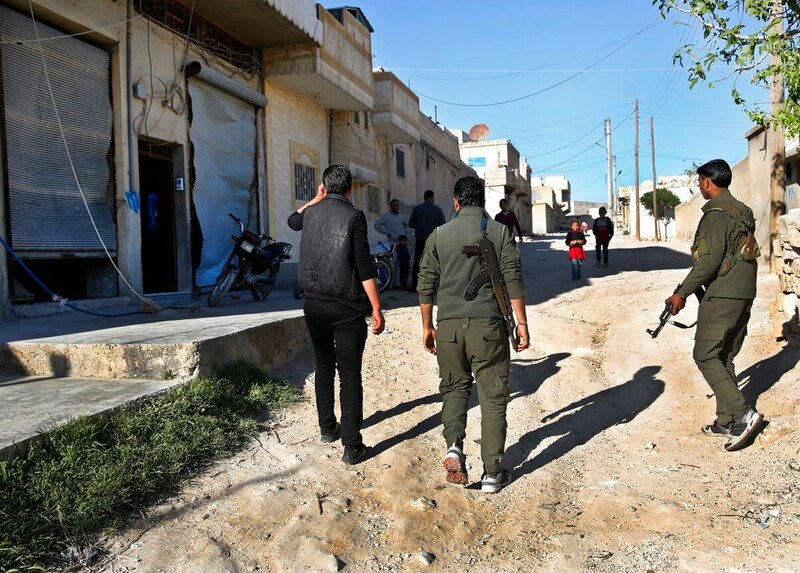 In recent weeks the U.S. military has focused on the north Syrian city of Manbij, where coalition partner Kurdish forces have come under attack by pro-regime and Turkish forces. U.S. forces have increased their presence there to act as an arbiter, but not without cost. On Friday Army Master Sgt. Jonathan J. Dunbar, 36, was killed during combat operations near Manbij.